Chiropractic is a drug-free, non-surgical hands-on type of health care based upon the principle that the body naturally works to heal itself. The chiropractors job is to facilitate the bodys own innate healing powers. This is accomplished by using chiropractic manipulation or adjustments to the spine and extremities. Soft tissues techniques along with exercises are commonly added to a patients treatment plan. Although most people seek out chiropractic care for its safe and highly effective approach to the treatment of pain arising from the muscles, joints, and nerves, they are pleased to find out that chiropractic offers a holistic approach to health and wellness. Chiropractic is a refreshing and natural hands-on approach to total health care. Visit our Frequently Asked Questions page for more information about Chiropractic. Chiropractic Sports Medicine [top] Certified Chiropractic Sports Physicians (CCSP®) have a greater awareness of the responsibilities of the sports/team physician. We have the knowledge and ability to instruct athletes in rehabilitative procedures and athletic training principles. We are trained to evaluate and treat typical sports and recreational injuries. We know how to treat athletes in emergency situations. We have a working knowledge of the clinical bio-mechanics and physiology involved in specific sports and recreational activities. Massage Therapy helps to reduce stress, relieve pain and increase the body's own natural ability to heal. Massage is the manipulation of soft tissue to increase circulation and lymph flow, decrease stress and muscle tension, and produce an overall feeling of well-being in the body. Massage can be used for different purposes. Some people choose to use massage to decrease stress and relax; others are rehabilitating from injury or illness, or are in chronic pain. No matter the reason the effect is the same. Visit our Massage Therapy page for more detailed information on rates and different types of massage therapy offered at Balanced Body Wellness Center. Yoga is a system built on three main structures: exercise, breathing, and meditation. When yoga is practiced regularly, these systems are designed to work in unison and produce a clear mind and a strong body. Yoga Classes develop physical tone and flexibility as you cultivate the deep peace and sense of well-being that Yoga can bring into your life. Everyone can learn and expand on this balanced, restorative experience of conscious movement, Yoga postures, breathwork, meditation and soothing relaxation. Please visit our Yoga & Pilates page for much more about the different forms of Yoga & Pilates offered at BBWC. Purchase a Yoga Class Card Gift cards! Pilates is intelligent exercise that can improve your strength, flexibility and endurance without bulking up like other forms of exercise can do. Pilates focuses on breathing, core stability and proper spinal alignment. The result of practicing pilates is a balanced and aligned body that looks fit, feels revitalized and moves with ease. Create definition without bulk. Heighten your mind-body awareness and most importantly, relieve stress. 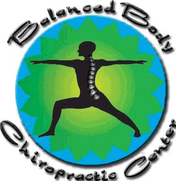 Please visit our Yoga & Pilates page for much more information on Pilates classes. The practitioner gently lays their hands on regions of the body or often a few inches over the region that relate to the 7 major meridians or chakras, which are the energy points on the body. The practitioner, focusing with a positive intent, facilitates the Reiki energy, which will help to clear away blocks in these energy fields, promoting healing and a return to a natural balanced flow of energy in the body, mind, and spirit. Yoga, Acupuncture, Qigong, Meditation, Tai Chi are examples of systems or treatments that are based on this same essential magnetic and electrical energy source which we all have. can help decrease anxiety and depression, diminish pain, strengthen the immune system, accelerate healing and give an overall feeling of peace and well being. Many hospitals, hospices, and other health care institutes, in the United States and around the world are incorporating Reiki into their patient care. Through my practice as a Registered Nurse, and my own personal journey for wellness, I have found Reiki to have a profound and lasting positive effect. A Reiki session lasts about 1 hour (sometimes a little longer). You remain fully clothed and it is completely non-invasive. There is no dogma in Reiki, and the recipient does not have to have any special spiritual belief system for it to work. Simply be open to receiving energy. The fee for a healing session is $65.00 by appointment. Offered evenings, weekends or by special arrangement. In Buddhism meditation means "effortlessly remaining in what is" and transforms accepted information into experience. This state of total awareness and where all perfect qualities manifest, may be brought about by calming and holding the mind, when compassion and wisdom are realized, or by meditating on light forms of the Buddhas. These proven and unaltered methods for working with mind have been passed down from teacher to student for the last 2500 years and make it possible for us to develop and lead meaningful, productive lives for the benefit of others and ourselves. For more information visit www.diamondway.org. Bach Flower Remedies are a natural way to help balance emotions so that you can achieve a greater sense of well being. Bach Flower Remedies were discovered in the 1930s by Dr. Edward Bach, a physician and homeopath. They are a simple but highly effective system of 38 plant and flower essences that help correct emotional imbalances. They treat the entire spectrum of emotions such as anxiety, indecision, depression, fears and insecurities. People seek out a Bach Flower Practitioner when dealing with such issues as postpartum depression, sleeplessness, work or family problems, grief and loss, current and past trauma, divorce, career decisions, or general stress, to name a few. The remedies are taken in liquid form via drops and since there is no risk of drug interaction, you can feel free to use them with all other medical and non-medical healing therapies including prescription medication, over the counter drugs, herbs and homeopathic remedies. The gentle healing of Bach Flower Remedies allows individuals to reconnect with their true self and helps them lead happier and more self-satisfying lives. Foot Reflexology is a specific type of steady, even pressure to various areas of the feet that produces dynamic healing and relaxation in all parts of the body. A wide range of chronic and acute problems may be alleviated through reflexology, which has no negative side effects and brings, at the very least, deep relaxation. Nutritional counseling is designed to correct diet and nutrient imbalances naturally. Through a comprehensive health history, physical exam and lab work, common conditions can be diagnosed and then treated without the use of conventional drugs. A personal nutrition program, including diet, vitamins, minerals, herbs, and other supplements can provide you with total support for optimal wellness.